Some aspects of the chemistry of iodine will be presented from an industrial point of view. Particular attention will be paid to the sustainability issue and the recycle of iodine. Applications of hypervalent iodine for the synthesis of macrolides and of iodocompounds for living radical polymerizations will be considered in details. Tatsuo Kaiho is the Technical Advisor of Godo Shigen Co., Ltd. (Chiba, Japan), one of the most well-known iodine manufacturing companies in the world. He is currently a visiting professor of department of science, Chiba University. He is a former Director of Nihon Tennen Gas Co., Ltd. (Chiba, Japan), and a former Director of Kanto Natural Gas Development Co., Ltd. 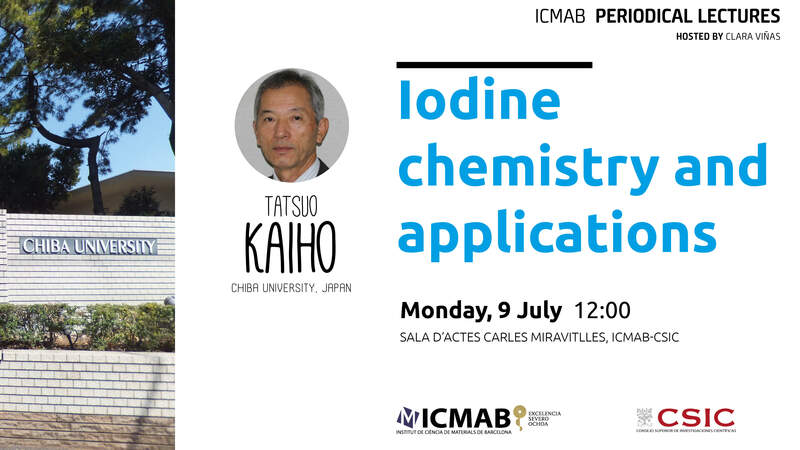 The Director of the Society of Iodine Science, Dr. Kaiho developed novel iodine-containing materials and processes and presented independent research at many conferences, including the International Conference of Hypervalent Iodine Chemistry (2010) and the Symposium of Iodine Science (2011). Dr. Kaiho has received several awards, such as the Distinguished Chemist Award from Chiba Prefectural Government (2001), the Organic Synthesis Award from Society of Synthetic Organic Chemistry Japan (2002) and the Society of Iodine Science Award (2012). He organized the 4th International Conference of Hypervalent Iodine Chemistry (2014) in Narita, Japan. Dr. Tatsuo Kaiho (born 1952) obtained his MSc (1976) from Osaka University. He joined Mitsui Chemicals Co., Ltd. in 1976. On leave from Mitsui, he worked as a visiting scientist at Massachusetts Institute of Technology (1979-1982) and obtained a PhD degree (1983) from Osaka University. From 2001-2003 he worked as a visiting professor at Department of Engineering of Chiba University. He is the editor of “Iodine Chemistry and Applications” and the author of “Iodine Made Simple”.